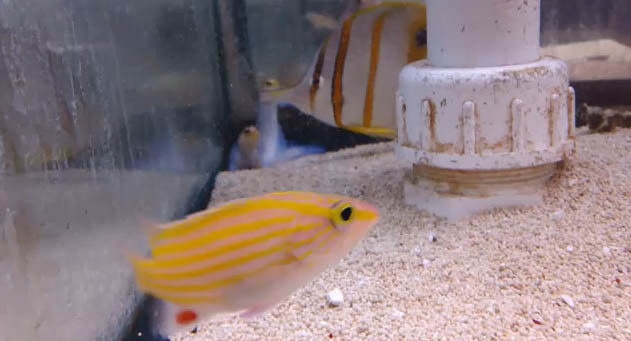 Absolutely Fish, one of the largest retail fish stores in New Jersey, has in stock the extremely rare Spanish Flagfish, Gonioplectrus hispanus. Indiginous to the carrebeans, divers had to go to the depth of 500 feet, where they had a 10 minute window to catch the fish before having to return to the surface. It takes them 2 hours to go down, and 8 hours to get back up to the surface. So, while most of us don’t want to cough up the cash to get this beauty in our system, we can all take the time to watch this video from Absolutely Fish.